In 2013, VETgirl, a subscription-based service offering online veterinary continuing education (CE), embraced technology and changed how the world of veterinary medicine learns. Since then, VETgirl has been the #1 online veterinary CE resource for busy veterinary professionals. Well, in order to reward our dedicated VETgirl fans, we’ve decided to create the first ever VETgirl Veterinary Conference in Minneapolis, Minnesota. So, save the date for VETgirl-U: August 17-19, 2018! This will be hosted at the Radisson Blu attached to the Mall of America and will be a unique medical conference like no other. This will be open to all veterinary professionals! VETgirl U attendees will get 20+ hours of RACE-approved CE covering a huge variety of topics from surgery to anesthesia to emergency to derm to neuro! There will only be one track, because we want your whole TEAM to learn together! As of April 19, 2018, we are sold out! However, if you want to get on the wait list, you can sign up for the WAIT LIST HERE - you will only be charged once we contact you about a space opening up! Arrive Thursday evening, August 16, 2018. Make sure to check in at the Graffiti room Radisson Blu from 2-8pm to get your L.L. Bean backpack! Learn all day long (well, not too long...) on Friday and Sunday from 8a-4pm. Learn some on Saturday too (from 8a-12pm), but then you're off to have some fun on your own! Join us Friday night for a ride down the Mississippi River for a Paddleboat dinner cruise (Boarding from shuttle buses PROMPTLY at 5:30pm from MOA). *Driving on your own? Be at Harriet Island here no later than 6 pm! Want to venture on your own? Get a behind the scenes tour of the MOA aquarium! Or go to a Twins baseball game. Or tour the US Bank stadium! * Guest passes available for purchase for $50. We know people are still interested in attending. If there is a cancellation or more spots open, we'll contact associates that go on our waiting list. Join the waiting list by clicking HERE! Radisson Blu hotel reservation information: Click HERE or the image below to receive the discounted room rate for the VETgirl-U Conference (August 17-19, 2018). Use the Promotional Code VETGRL when booking your room to receive the discounted rate! MSP Airport information here: We're centrally located and almost non-stop from everywhere! Plus, there's a free shuttle from Radisson Blu. Click HERE for shuttle information. Parking information for the conference? 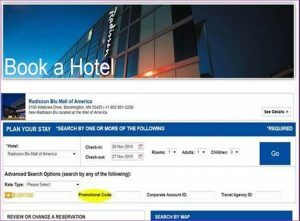 It's free at the Mall of America or paid at the hotel. Find details HERE. What else will you get at this conference? Free Yoga: Please BYOM (mat or towel!) though! Limited to space available, so come early! Minnesota Nice: We pretty much feed you and take care of you the whole time you're here! 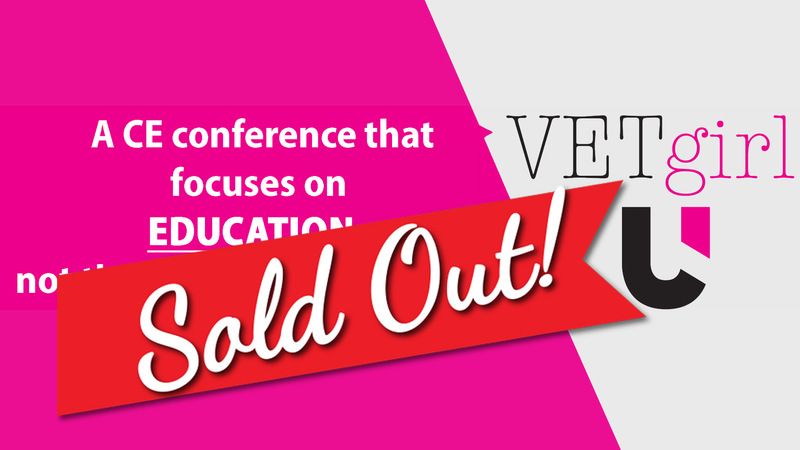 We invite our VETgirl family and the veterinary community to be part of our 2018 VETgirl-U Conference! Lastly, interested in exhibiting? Get info here. All of VETgirl's veterinary continuing education (CE) is RACE-approved for veterinarians and veterinary technicians in jurisdictions which recognize AAVSB RACE approval. VETgirl is also approved as a provider of veterinary CE in the states of New York, North Carolina, Louisiana, and Florida. When registering for this conference, you agree to the VETgirl Conference Attendee Policy and Guidelines. If you are looking for opportunities for exhibiting or sponsoring at this unique conference, please click HERE for more information! Category One: Scientific using the delivery method of Seminar/LectureInteractive-DistanceNon-Interactive-Distance. This approval is valid in jurisdictions which recognize AAVSB RACE; however, participants are responsible for ascertaining each board’s CE requirements. RACE does not “accredit” or “endorse” or “certify” any program or person, nor does RACE approval validate the content of the program.